A tragic death... A disturbing photo that can't be explained... A woman drowning in an ocean of secrets... In 1950s Virginia, beautiful, serious Jenna Damont seems to have found the life she's always wanted. But underneath the shallow gleam of her bright suburban world, murky truths are waiting to surface. On the morning that her husband dies in a tragic accident, Jenna finds a shocking photograph of him in the arms of a beautiful woman. And before she can ask him about it, he's gone forever. Five years later, Jenna has buried her questions and remade her life. But the reappearance of an old love stirs up guilty questions, and she realizes that some secrets weren't meant to be hidden. The deeper she dives for answers, the darker the water gets. How will she find happiness for herself and her family, when every step she takes towards the strange and awful truth seems to lead her right back to her own home shores? There was a tuna casserole in the refrigerator. Jenna stared without interest at the wax paper-covered container sitting on the metal shelf. She could see the noodles and chunks of canned tuna pressed up against the clear glass sides of the dish, along with small grayish-looking balls which were probably peas. Stella, taking care of her again. Jenna tried to muster a smile as she closed the refrigerator door. She fiddled with the belt of her robe. After she had scraped herself off the kitchen floor and dried her eyes, she had gone downstairs to the basement laundry and had taken off her funeral clothes. She was sick of them. She dumped them in the far corner, hoping they would get mildewed and wrinkled so she'd have to throw them away. Or burn them. The idea of burning them gave her a vague glow of pleasure. Jenna had fished an old robe out of a box of clothes that she had planned to give away. She'd shaken it out, smelled it. It smelled slightly damp, but it was better than the idea of going upstairs to their bedroom – her bedroom – and finding something up there to wear. Jenna wasn't sure when she was going to make it up there, but she knew damn right well it wasn't tonight. So she'd stripped down to her bare skin and donned the robe, tying the belt in a tidy bow at her side. And before she'd left the basement she'd picked her clothes up off the floor and hung them neatly on one of the spare hangers in the basement closet. A soldier's daughter does not leave her clothes piled in the corner, regardless of the circumstance. Upstairs, Jenna had pulled the compact out of her purse and looked at herself in the mirror. She regarded her reflection gravely, without passion, taking no pleasure in the beautiful face looking back at her. She brushed her thick, dark hair, which was already drying into soft waves where it grazed against her shoulders, and fastened it neatly with a comb. Out of habit, and because she couldn't stand the shiny, unfinished look of bare skin, she powdered her nose lightly. After inspecting the refrigerator and finding it full but uninteresting, she didn't know what to do with herself. She wandered through the dining room and stood in the middle of the living room floor. Fritz followed close by her side and stood with his head under her hand, panting and smiling up at her. Occasionally the big dog would nudge her with his cold wet nose and whimper slightly. Then he would look toward the door and shift restlessly, as if wondering when the other third of their pack was coming home. Didn't he realize by now, Jenna wondered, that that third wasn't coming home at all? The vast quietness of the small house echoed through her, touching all the empty spots inside her. With only the yellow glow from the one lamp next to the window, and the light spilling out of the kitchen door across the dining room, the place looked like a stranger's home. For a moment Jenna could almost imagine that she'd stumbled into the wrong house by mistake. Or maybe it was the wrong life altogether. She placed her hands flat against her cheeks, breathing deeply. Get a hold of yourself, she thought sternly. There are going to be plenty of lonely nights in this place, so you'd better get used to it. Don't fall apart now. Her eyes wandered around the room. A solitary window faced the front of the house, where Bud had always planned to build a fireplace some day. There was a walnut sideboard in that spot now, a good piece that she'd picked out herself. On the top were several family photos – Jenna and Bud's wedding picture, her father looking smart in his uniform, Bill and Kitty at their twentieth anniversary party. The one of her father was taken only a month before he had passed away. Happier days. Happier times. Lightening flashed outside, glinting off the sleek silver frames around the photos. Jenna blinked at the unexpected glare reflecting off the dustless surface of the sideboard. And all of a sudden, something clicked. Dustless surface, gleaming silver frames. She turned around slowly, surveying the room with an accusing eye. The oak floors had been swept clean. The cushions on the sofa looked freshly plumped. The magazines on the coffee table were laid out in a neat fan, the way Jenna herself would never lay them out. It wasn't Stella, she knew that. Jenna had specifically told Stella not to clean. Feed Fritz and take him for walks, yes. But do not clean. And Stella would have done just as Jenna asked without questioning why. That's the kind of friend she was. No, it had to have been some of Bud's aunts. God knew there were enough of them. Blood-aunts, aunts by marriage…they had formed their own little flock at the funeral. Crepe-draped hens huddled together, clucking out their grief. At some point in the past two weeks they must have come in here, obnoxious with their intrusive helpfulness, and cleaned the house. Fear seized Jenna with unexpected force, gripping her around the middle like a corset made of iron. Could they have found…? In two steps she crossed the small living room to the sideboard. She yanked the top drawer so hard it slid all the way out, scattering the contents on the floor. The drawer continued its arc downward, striking her leg. It didn't hit her hard enough to hurt, but she yelled anyway. It felt good to yell. She heard Fritz retreating into the kitchen and turned in time to see his backside round the corner as he slunk away. "Coward," she called to him, then immediately felt ashamed. Would she ever learn to behave like a human being? Jenna turned back around and looked down at the papers littering the floor. She went nearly limp with relief when she saw a photograph sticking out from underneath last month's copy of Life magazine. Its back was to her, but she knew it was the one she was looking for. Thank God. It was still there. No one had found it. Just the thought of trying to explain the thing to Bill and Kitty made her sick to her stomach. She couldn't even explain it to herself. But the fact that the photo was still in the drawer showed that no one was the wiser, because if one of Bud's aunts had seen it, they wouldn't have been able to resist taking it to his parents. And Jenna definitely would have heard about it if that were the case. She knelt down and picked the photograph up by its corner. She started to turn it over, to look at it again, but changed her mind and instead slid it into the pocket of her robe. Out of sight, out of mind. Jenna began to pick up the contents of the drawer and replace them, stacking methodically as she went. This drawer was always full of old magazines, articles clipped from newspapers, grocery lists. And as of two weeks earlier, the day her husband had died, it had also contained a photograph – the one which was now safely hidden in her pocket. The picture was of a smiling baby, held in the arms of a beautiful woman, who was herself held in the arms of a handsome man. The man happened to be Jenna's husband. Jenna had no idea who the woman might be. Or the baby, for that matter. She scooped the papers off the floor and back into the drawer, then stood and re-inserted the drawer into the bureau. And all of a sudden the grief and confusion overwhelmed her again, and she leaned forward. Her long body bowed almost in half as she bent slowly until her forehead rested on the cool solid wood of the sideboard. She felt the sobs well up inside her, a great vomiting mass of dry heaves about to erupt from her lips, and she pressed both hands to her mouth, determined not to give way. Every night for the past fourteen days it had been the same thing. During the day she had managed to be relatively composed. But alone at night, in the big bed in Bill and Kitty's spare bedroom, it would all come raging back. Her face, pressed against the cool smoothness of the pillow, would flame with the loss, and the questions, and the anger, and the grief. Oh God. The grief was the worst. It was a physical thing, a tearing and splitting of the body, a jagged gaping hole in the soul, painting itself in fiery tones of red and orange. Gone, her mind would scream at her. Gone, gone, gone. Always, her logical mind tried to grapple with the irrational, specious, offensive nature of what she had lost. It was an affront to reason to think that such a thing could be possible, that Bud could really and truly be gone. But always, eventually, the truth of the situation would settle in. Then grief would claim her, and she would weep out her anguish until she was drained into unconsciousness. But not tonight. She couldn't lose control tonight. Because here, alone in this house except for the family dog, there was no reason to pull herself back out of the fog if she descended into it. No one to compose herself for at breakfast. No funeral to plan. Nothing except the dreary stretch of days rolling out in front of her, one day following the next until she died. With effort, she pushed herself upward into a standing position. Trembling fingers straightened her robe, and re-tied the sash around her waist. Get control, she told herself sternly. She took two deep breaths and commanded her heart to slow. She needed food, and a glass of milk, and then sleep. She planned to spend the night on the couch. She would read until she dozed off. And she would be back up at six the following morning like she always was. Routine equals control. It was the key to her survival. She was turning around to head back to the kitchen when someone knocked on the front door. At the same moment, a rumble of thunder vibrated through the atmosphere. Jenna jumped slightly, then paused. She looked at the clock on the wall. It was almost nine o'clock. Who would be knocking at this hour? The knock was repeated, low but firm. Urgent. Fritz came barreling out of the kitchen, barking, his courage apparently restored. Jenna hushed him sternly, although she was grateful for his presence. She swallowed. It must be Stella, coming to check on her. She would do something like that – walk across the street in the pouring rain to check on her bereaved friend. Yes, it must be Stella. All the same, Jenna put the chain on the hook before she raised her voice and called out, "Hello?" She paused, then swallowed and spoke again, trying to sound like she was in charge. "Who's there, please?" The answer came just as a crack of thunder split the air. But Jenna heard the voice from the other side of the door, and she recognized it in spite of the storm. Her eyes widened and her hands begin to tremble. She would have known that voice anywhere. 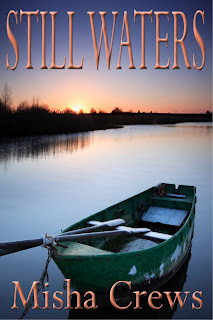 Misha Crews, author of Homesong, which was a finalist for the Bronte Prize in Romantic Fiction, and the recently released, Still Waters. Misha Crews was born in Charlottesville, Virginia and has lived in and around DC all of her life. Raised in a family of book lovers, her mother first encouraged Misha to read by offering to pay her two cents per page of Hop on Pop, by Dr. Seuss. 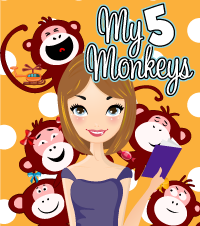 At first she was happy just to be raking in the cash, but before long she traded the pennies for the riches of the written word, and since that time she’s seldom been seen without a book in her hand, in front of her nose, or at the very least in her purse! 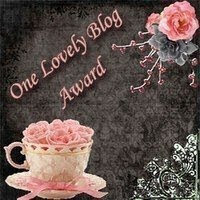 You can learn more about Misha and read some of her short stories at her website, Misha Crews. 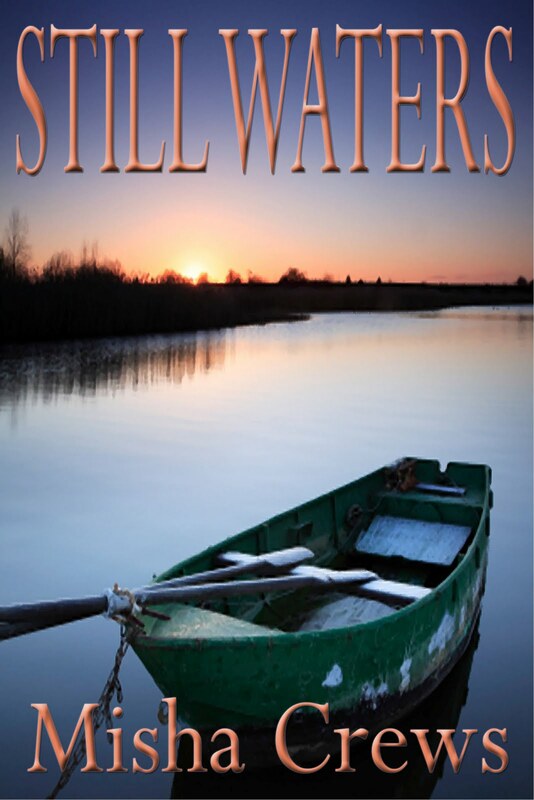 Click HERE to purchase your own copy of Still Waters today!